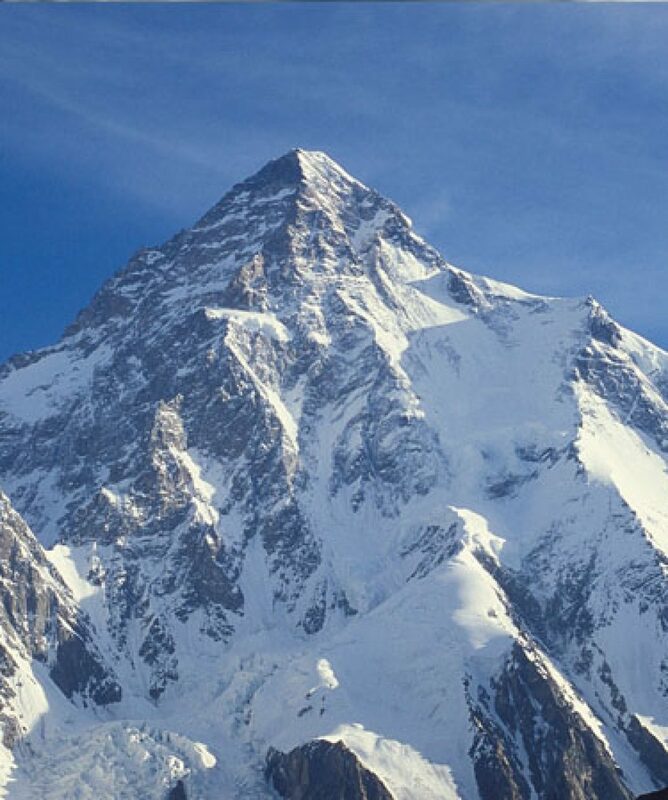 The trek to the base camp of K-2 on Baltoro Glacier is considered to be the most spectacular trek in the world. 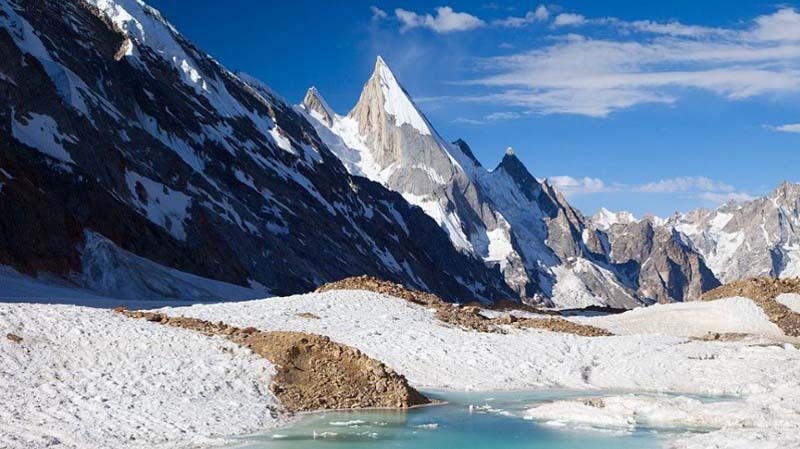 Follow the mountaineers’ route to K-2 along Baltoro, the world’s second longest glacier outside the polar region. It passes through the world’s thickest concentration of high peaks to Concordia, the confluence of Baltoro and Godwin Austin Glaciers. 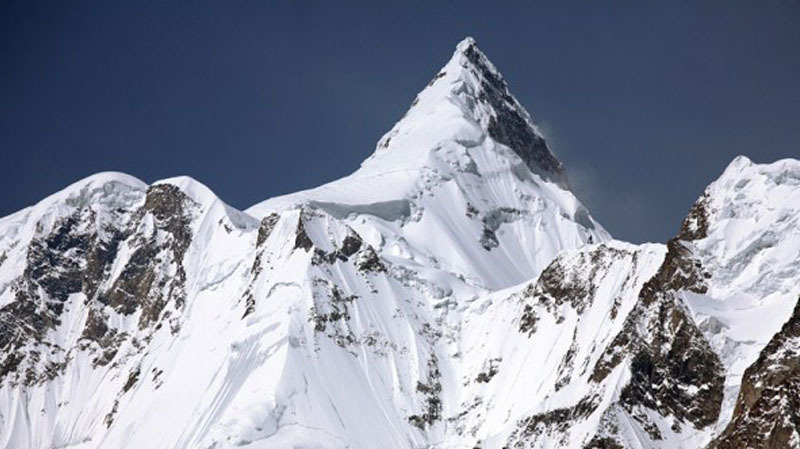 At Concordia, 10 of the 30 highest peaks of the world tower within a radius of few miles including many peaks over 7000-8000m such as K-2 (8611m), Gasherbrum I and II (8068m and 8035m) and Broad Peak (8048m). Starting from Skardu by jeep on a rough trail, one reaches Askole, the last inhabited village on the route. Here we hire porters and start the trek to Concordia through an incredible wilderness of rocks, ice and snow. 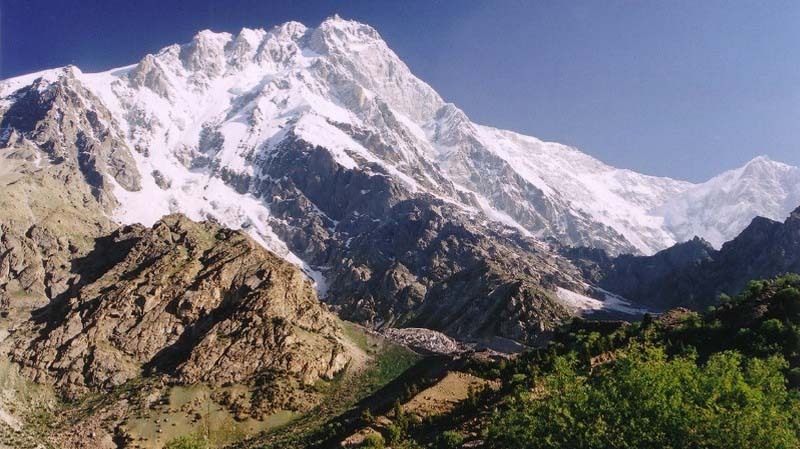 After exploring the mountain grandeur for two days, return to Skardu by the same route. NOTE: For the return trip a new route southwards over the Gondogoro Pass (5550m) to the scenic Hushey valley has also been explored. 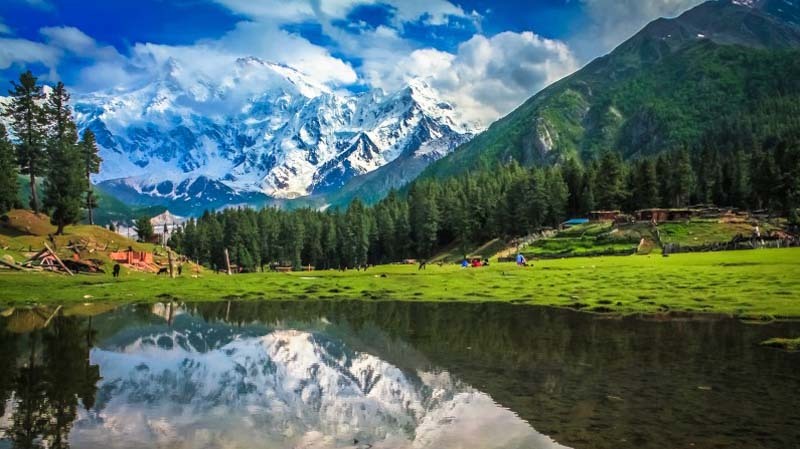 This alternate route has the double advantage of providing a birds-eye view of the peaks surrounding Concordia and also of exploring another destination rather than retracing one’s footsteps. However, one should bear in mind that crossing Gondogoro Pass is subject to glacial conditions and is sometimes not possible.